With young suicides dominating Irish newspapers and radio programmes on Monday, InsideIreland.ie reviews the news on the problem of suicide in Northern Ireland, with 15 deaths in Belfast since July, and high rates in north Antrim and Fermanagh. 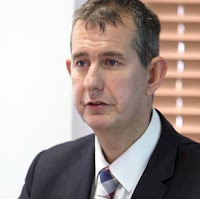 Stormont Health Minister Edwin Poots has confirmed in a question to MLA Sue Ramsey that fifteen people have died from suspected suicide attempts in Belfast since July. The Department of Health in Northern Ireland said that almost 500 patients attended hospital emergency departments in the city with deliberate self-harm earlier this year. The Department of Health provides around £7 million annually for suicide prevention. “Sadly, this is reflective of trends experienced over the last five years and work, therefore, is ongoing to address the high levels of suicide in areas of Belfast. According to the Department’s ‘Protect Life: A Shared Vision’, suicide is ‘now one of the major causes of death in young adults in Northern Ireland, particularly in young males, and various studies and surveys have indicated that it is on the rise’. Sinn Féin have called for support to tackle the problems related to suicide in the Moyle council area of North Antrim. Figures from the Public Health Agency show that the rate of suicide in Moyle (over a 5 year period) is the ‘third highest in the north behind only Strabane and Belfast council areas’, said a local MLA. The highest number of suicides in Northern Ireland is amongst the 35-44 age group (for both male and female) and the number of registered suicides in the North has risen from 148 in 1991 to a 313 in 2010, according to figures. North Antrim Sinn Féin MLA Daithí McKay met with local community group SOLAS, along with Ballycastle Councillor Cara McShane last week in light of the figures. SOLAS were formed in 2010 in response to the ‘alarming number of local suicides’. “This is a very stark statistic,” said Daithí McKay on the suicide rate in Moyle. “Given that the rate is double that of districts such as Banbridge and North Down, then I think there is clearly an argument that there should be more backing from the Department of Health and other government agencies for local groups that deal with issues such as mental health and suicide prevention,” the MLA added. 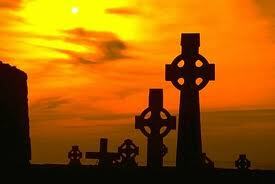 In County Fermanagh, six people have died in ‘tragic circumstances’ in less than two weeks. Sinn Féin MLA Phil Flanagan has said it is not ‘good enough for any of us to stand by and do nothing’. “Suicide prevention is everyone’s business, and it is imperative that a multi-agency approach is taken to tackle this growing problem,” said the MLA. “What is clearly demonstrated by these tragic deaths is that suicide affects people from all ages, gender and background”. “All the relevant agencies need to urgently come together to establish how best to deal with this escalating crisis; such an initiative must include the health service, community organisations, public representatives, the police and those working to prevent suicide on an ongoing basis,” concluded Phil Flanagan. So as parents where do we start? Let’s begin with some common misconceptions about suicide. Ok so now what? Now we can say we’ve debunked a few myths about suicide what do we do about it? How can we make sure we prevent it from ever happening to our children? I’m not going to say that you can do anything to guarantee 100 percent that it will never happen but here are some things we can do to become more aware. You can Google prevention tips for parents and get a massive amount of advice on things to watch for and things to do based on what you’ve seen and how you handle this, that and the other. I’m not saying you shouldn’t do those things, because there are some really good resources out there for parents. But for me…I know my children better than anyone. And the same can be said for you. So be aware. If you notice that your normally gregarious child is suddenly withdrawn or if their grades begin to plummet or if there are signs of self-injury or self-medication then act. Don’t brush it off to teens being moody or going through a phase, these are serious life threatening issues that need to be dealt with quickly and with love. This is an easy acronym to help you remember some the early warning signs of suicide. If you see any of these in combination with the other, you need to seek immediate medical attention. Don’t wait around and don’t brush it off as a plea for attention. Your reaction to your child may be the key to saving his or her life. Most people thinking about ending their life will talk with someone. While they may not talk to you, chances are they will talk to someone close to them. If you are noticing your child’s behavior shift then start talking to them and their friends. It may feel like you’re invading their privacy, but I’m a big proponent that children do not have privacy rights. Add to that the fact that we are talking about life and death. I would rather my child be angry at me and alive than the alternative. Suicide is a heavy issue and not many of us are qualified to handle it on our own. So don’t. Get help and get it quickly. If you don’t know where to start call the national suicide hotline- 1-800-273-8255. Get ahold of your child’s school counselor or pastor, priest, rabbi, or imam. They will be able to point you in a right direction. Make sure that you do get help though. Suicide may not have the stigma that it once had but it still carries with it a certain amount of shame. You must realize that this is not a reflection on your skills as a parent. This does not speak ill about you. Just as heart disease doesn’t mean you’re a bad parent neither does mental illness. This is by no means THE complete list of what to do and what not to do. And understand that I am NOT a licensed medical professional and you should not take this article as advice from someone that is. Here is a link to the National Suicide Prevention Lifeline- http://www.suicidepreventionlifeline.org/ Please us it to get started if you need it. My prayer and hope for this post is that it might spark a conversation or thought process for you and your family.